Set against the stunning backdrop of Sammezzano Castle, past meets present in the glorious Tuscan sun. Allegra O'Brien has it all: a beautiful family, a loving husband and a stunning west London home. But when she discovers her husband's infidelity, that world crashes down around her. With an ageing mother and two teenagers to support, Allegra seeks solace in the bosom of her Italian family. But it is the ramblings of her elderly grandpapa that awaken an interest in historic, interior architecture, and their legendary Mama Cosima. Inspired and invigorated, Allegra takes a trip to her grandpapa's birth village in Tuscany to learn more about her heritage. 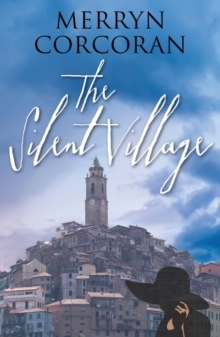 Whilst there, a dangerous encounter with a handsome Italian man throws her off course, but in the wake of her grandpapa's illness, Allegra makes an unexpected discovery, and commits to the promise she made to solve a family mystery.